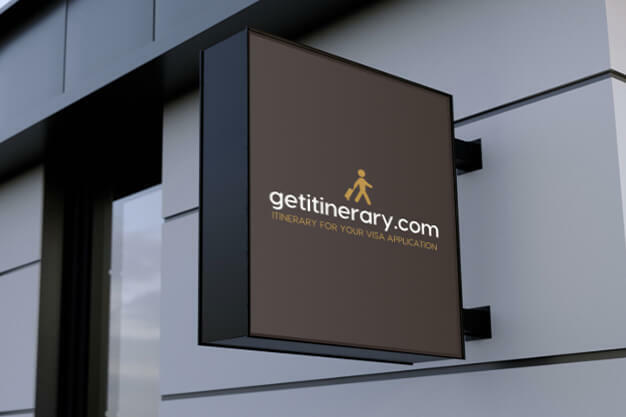 GetITINERARY provides an electronic itinerary which contains travel reservation for flight and hotel. This electronic itinerary is for visa application purposes only, and not an actual ticket/booking. Simply provide us with your full name, date and your travel destination to place your order. Your electronic itinerary is available for you to download instantly at the end of the transaction. You will also receive a download link by email. You can use this electronic itinerary to fulfill your visa application requirement. Once you get your visa, you can make your own travel plan and purchase your ticket or book your hotel! I have a visa interview coming up. How soon can I get my flight and hotel itinerary? Your electronic itinerary is available for you to download instantly. Can we use this flight and hotel itinerary to apply visa for any country? Yes, you can use our flight and hotel itinerary to apply visa for any country. Doesn’t matter where you are from and what country you are traveling to, our electronic itinerary fulfills the requirement for any visa application. Are this electronic itinerary accepted by the embassy? Should I buy a full ticket before visa interview? How reliable is your service compare to others? We are the first website to offer an electronic itinerary by instant download. You don’t have to wait 24 hours or pay extra for faster delivery. Your electronic itinerary is available for you to download at the end of the transaction. Our system connects you directly to airliner and hotels, enable electronic itinerary to be issued seamlessly on the background while you provide your travel detail. Our itineraries are perfect for any visa application purposes. We offer unlimited itinerary revision at no extra cost to you. We are available 24/7 for immediate assistance. We provide 100% buyer protection through PayPal. If for any reason you not happy with our service, let us know and we will refund your order. Can I use your services to apply for Schengen Visa from the UK? Yes, absolutely! You may use the itineraries from us to apply for Schengen Visa from the UK, just like from any other countries. To apply for Schengen Visa, it is recommended to include both flight and hotel reservation for each country or cities, even if you plan to stay at friends or relatives. The visa consulate would like to see you have all your accommodation planned out for your trip. You might be asked for additional documentation such as invitation or supporter letter and their financial information if you do not include your hotel itinerary. Can I purchase flight and hotel itinerary for multiple cities? Yes, you may order flights and hotel itineraries for multiple trip or destinations. However, for multiple round trips, or multiple hotel reservations, you will have to place them in separate orders. Can I place an order for friends or family? Absolutely. You can place an order for anyone. However we do offer a referral program and for any successful order place by friend or family you referred to us, we will reward you with $5 credit. Can we place an order for a group at once? Yes, we offer the option to place an order for up to 6 travelers at once. The electronic itineraries will be issued for each traveler individually. Is there a traveler name on the itinerary? Yes, there is. Traveler's full name will be printed on each itinerary along with the date and other travel details. Do you offer a discount for a group order? Yes, we offer an excellent group discount. Instant discount will be automatically applied for multiple travelers in the same booking. We are the only website to obtain an electronic itinerary with instant download. You don’t have to wait 24 hours or pay extra for faster delivery. Your electronic itinerary is available for download at the end of the transaction. Will I expect any additional charge other than the amount I paid for my order? No. The amount you paid for your order is the only charge. I received my itinerary, but my travel plans have changed. What should I do? Don't worry. We offer unlimited revision and we can help you reissue a new electronic itinerary with your new travel date or destination. Simply contact us by email with your order number and new travel detail. I have a wrong date or city on my itinerary. How do I get this corrected? We also offer an unlimited revision for this and we can help you reissue a new electronic itinerary with a correct travel date or destination. Simply contact us by email with your order number and correct travel detail. Do you offer another form of payment except for PayPal? If you are new to PayPal or don't have a PayPal account, you can also use Debit or Credit Card (Visa, MasterCard, American Express and Discover) on checkout. Do I need to make any ticket cancellation after I get my visa? No, we take care of everything on your behalf. You don’t have to worry about additional cancellation fee or anything else. What you've paid us is just the service fee for a flight or hotel itinerary. Once you get your visa, you can make your own travel plan and purchase your ticket or book your hotel! We provide a refund if your visa is denied due to the issue caused by our electronic itinerary or reasons within the scope of our services only. In order for us to process your refund request, you need to provide us with a letter of rejection stamped and signed by the embassy authority with the name of the beneficiary reflecting on it. For more information, please refer to our refund policy before using our services. Can I print and submit the itinerary from you to the embassy? Yes. That is the purpose of our service. You can download your electronic itinerary and print out for the embassy as a proof of your travel arrangement along with your visa application. Couldn't find the answer you were looking for? Please contact us below and we will get back to you as soon as we can.